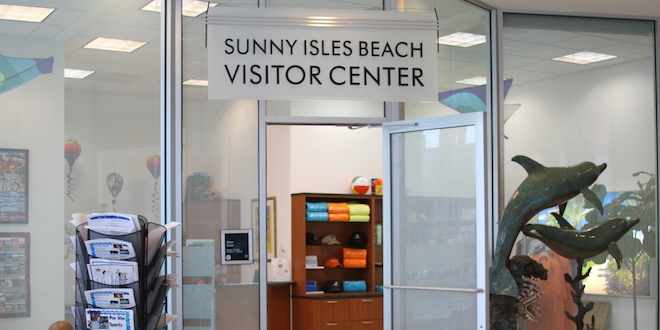 The Sunny Isles Beach Visitor Center is located on the first floor of the Sunny Isles Beach Government Center, at 18070 Collins Avenue. The Visitor Center offers visitors information on where to eat, places to shop, activities available in and around Sunny Isles Beach, and will answer any questions. In addition, stylish Sunny Isles Beach memorabilia ranging from t-shirts, beach towels, post cards, posters, and more, are available for purchase.